Does Anti-Citrullinated Protein Antibody Status Modify Treatment Effect of Certain Biologic DMARDs? Background/Purpose: Multiple therapeutic options with different mechanistic actions are available to treat patients (pts) with RA. However, selecting therapies by the characteristics of pts with RA is not a fully established practice. Recent evidence suggests that anti-citrullinated protein antibodies (ACPA) status is associated with a differential treatment response to abatacept (ABA), but not to TNF inhibitors (TNFi).1,2 The objective of this analysis was to generate additional evidence on the association of biologic (b)DMARD treatment (ABA and TNFi) effect by ACPA status. Methods: Data from two RA registries were used to address the research objective. One of the registries was an RA disease-specific registry and provided data for the treatment effect of initiating TNFi; the other was a product-specific RA registry and provided treatment effect of ABA initiation. Pts were evaluated by a rheumatologist annually in the RA disease-specific registry and every 3 months in the product-specific registry.3,4 The disease-specific registry was a single-center registry and the product-specific registry was a multi-center and multi-country registry. Descriptive statistics were used to summarize baseline demographics, disease activity measures and serostatus for both cohorts. Percentage change and mean change in disease activity from baseline to 12 months by ACPA status were assessed for pts with data available at baseline and follow-up. Results: Data for a total of 797 TNFi and 2350 ABA pts were available and were included in the analysis. The average (SD) age was 54.9 (13.9) years for pts in the TNFi cohort and 57.8 (12.6) years for pts in the ABA cohort. ACPA information was available for 92% of TNFi and 83% of ABA pts; 70% and 67% of pts in the TNFi cohort and the ABA cohort were ACPA+, respectively. ACPA+ pts in both cohorts had longer disease duration (Table 1). ACPA+ ABA pts had a significantly greater mean change in disease activity on CDAI, SDAI and SJCs compared with ACPA– ABA pts. Similar reduction in disease activity was not observed between ACPA+ and ACPA– TNFi pts (Table 2). Harrold LR, et al. J Rheumatol 2018;45:32–9. Sokolove J, et al. Ann Rheum Dis 2015;74:983–4. Nüßlein HG et al. BMC Musculoskeletal Disorders 2014;15:14. Disclosure: E. Alemao, Bristol-Myers Squibb, 1, 3; Y. Elbez, Bristol-Myers Squibb, 5; Y. Saini, Mu-sigma, 5; S. E. Connolly, Bristol-Myers Squibb, 1, 3; A. Rao, Mu Sigma for Bristol-Myers Squibb, 5; C. K. Iannaccone, None; M. E. Weinblatt, Amgen, Crescendo Bioscience, Bristol-Myers Squibb, Sanofi/Regeneron, 2,AbbVie, Ablynx, Amgen, Bristol-Myers Squibb, Canfite, Corrona, Crescendo, GSK, Gilead, Lilly, Lycera, Merck, Momenta, Novartis, Pfizer, Roche, Samsung, Set Point, UCB, Vertex, 5; N. A. Shadick, Amgen, Mallinckrodt, Bristol-Myers Squibb, Sanofi-Regeneron, 2,Bristol-Myers Squibb, 5. Alemao E, Elbez Y, Saini Y, Connolly SE, Rao A, Iannaccone CK, Weinblatt ME, Shadick NA. Does Anti-Citrullinated Protein Antibody Status Modify Treatment Effect of Certain Biologic DMARDs? [abstract]. Arthritis Rheumatol. 2018; 70 (suppl 10). 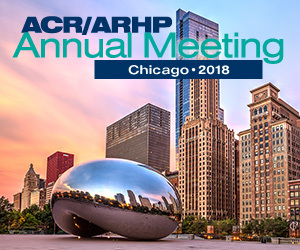 https://acrabstracts.org/abstract/does-anti-citrullinated-protein-antibody-status-modify-treatment-effect-of-certain-biologic-dmards/. Accessed April 21, 2019.